Just Add Power (J+P) has appointed Brian Sandifer as regional sales director covering the Southern U.S. In his new role, he will be responsible for the management of existing dealer partners and for the development of new business. Sandifer is based in Tampa, FL, and reports to J+P Sales Team manager Taft Stricklin. "Just Add Power strives to ensure we staff our sales team with knowledgeable pros who have a long history in the industry on both the product development and design sides," Stricklin said. "Brian's expertise, experience, and relationships will be a boon for our sales organization and our customers alike." 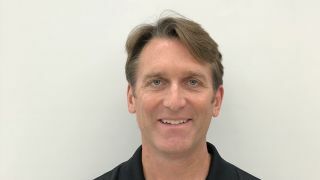 With nearly 20 years in the CE industry, Sandifer has amassed a wealth of experience within the integration-manufacturer space in CEDIA and AVIXA. Before joining J+P, Sandifer spent 13 years at Onkyo USA, where he oversaw the technical team and helped steer product development. In his position at Onkyo USA, he took on a multitude of responsibilities, from supporting dealers on technical design to building new products. He also garnered hands-on customer service skills as a project manager for a high-end installation firm. He holds a Bachelor of Science in business administration with a concentration in management from the University of North Carolina at Charlotte. "Just Add Power continues to take bold steps into the video-over-IP arena, making the company a well known industry innovator that delivers on the customer expectation of flawless video experiences," Sandifer said. "This position is an incredible opportunity to be a part of that conversation and to help customers integrate solutions that create ease and excitement for end users."